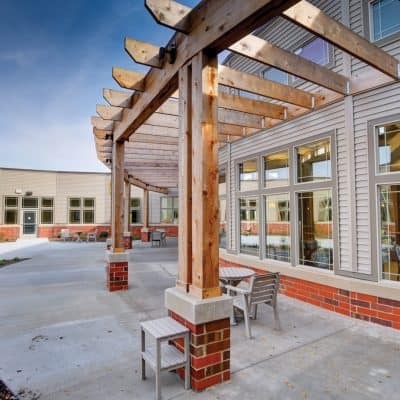 This 100-unit senior care campus was designed to create a warm, homelike atmosphere and provide a wide variety of spaces. 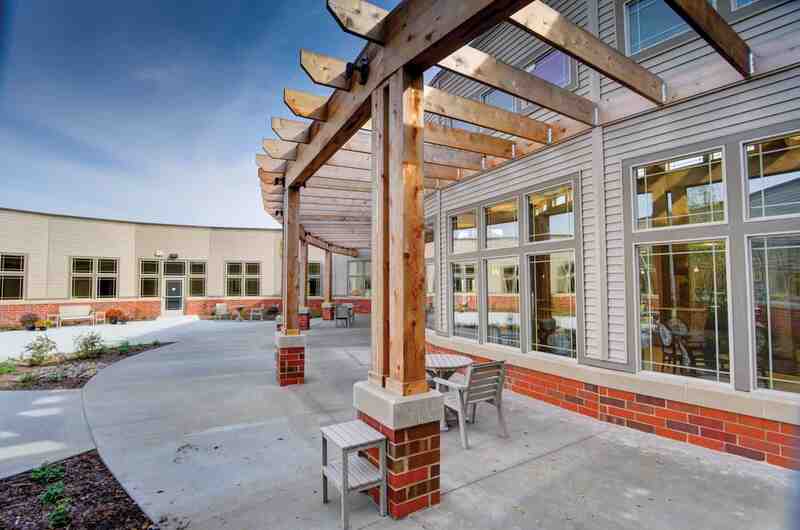 The kitchen, dining and living spaces are bright and full of natural sunlight due to the clerestory windows that surround the spaces. 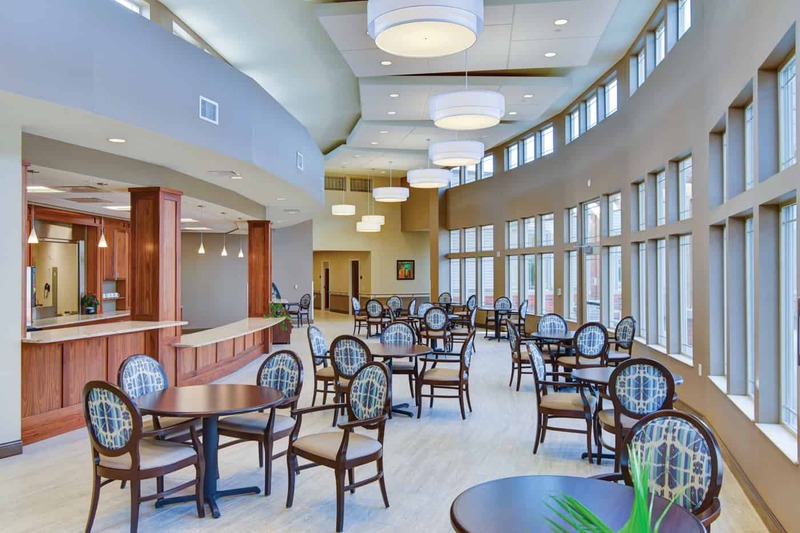 With our senior living design, we ensured the dining room accommodates a variety of activities while also allowing the freedom to adapt to different size groups or gatherings. 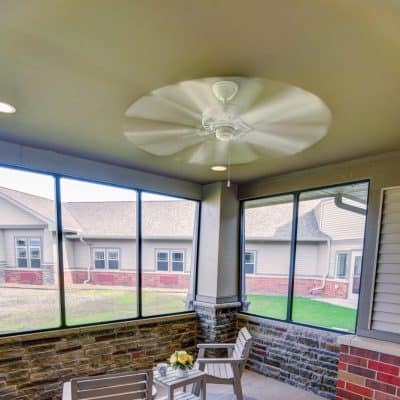 The resident rooms are private, spacious and homelike. 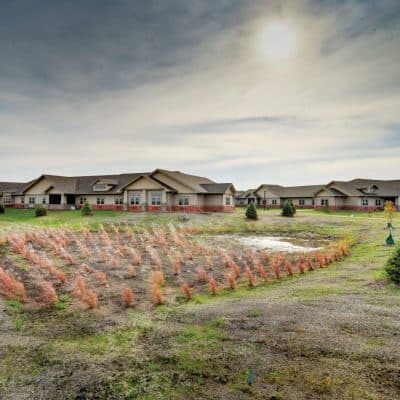 Other amenities in the facility include comfortable living rooms, private dining/conference rooms, conversation lounges and country kitchens to help reinforce small neighborhood living. 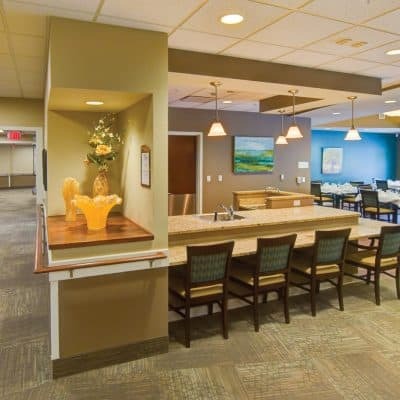 Being a new facility in a new market, staff members were not hired until after the design process. 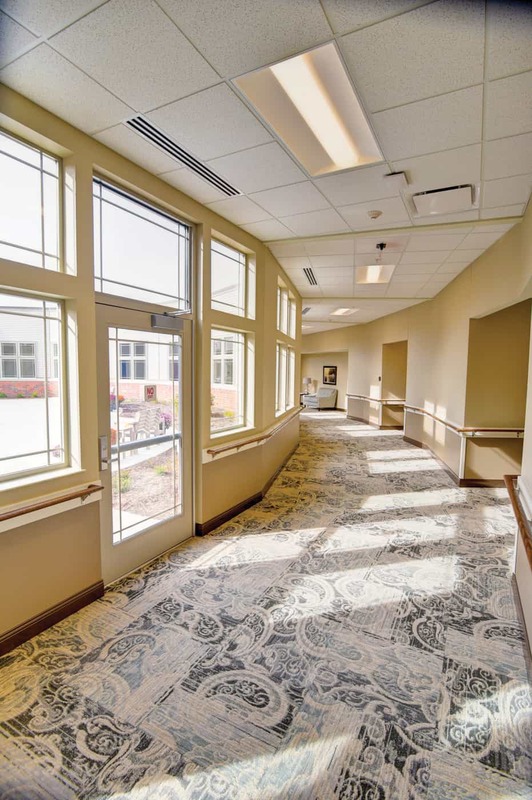 CLS and the owner group facilitated focus groups with staff from sister facilities to determine optimal amenities and layout. 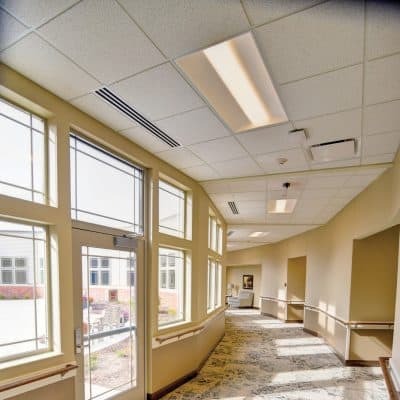 Energy-efficient clerestory windows flood the facility with natural daylight, improving the visibility for residents while contributing to a positive atmosphere. 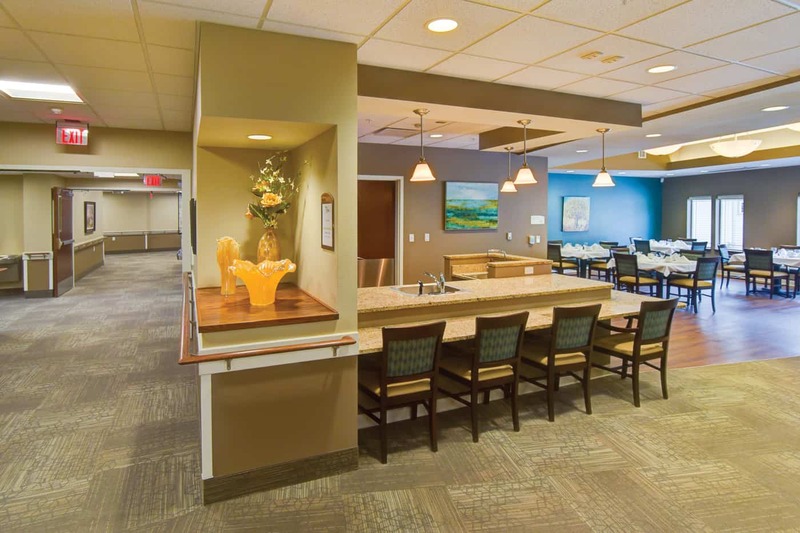 Warm wood, stone accents and a natural color palette create soothing interiors that promote tranquility. 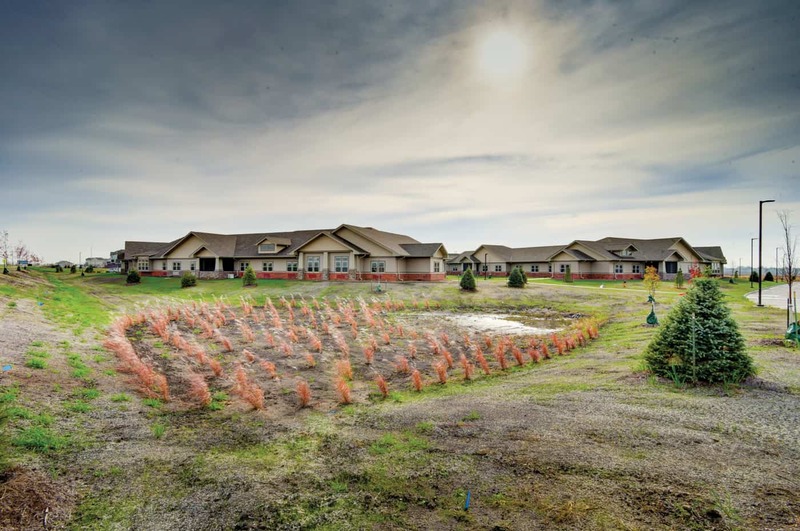 Highly desirable private suites with European showers and a view of the outdoors support resident-centered, individualized care and personal dignity. 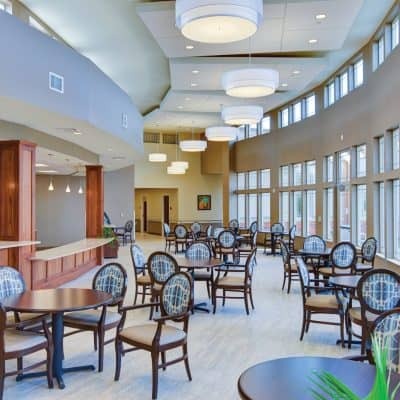 Dining and living areas feature high ceilings, natural daylight, views to the exterior and an open floor plan to encourage socialization and provide a warm and enjoyable interior environment. 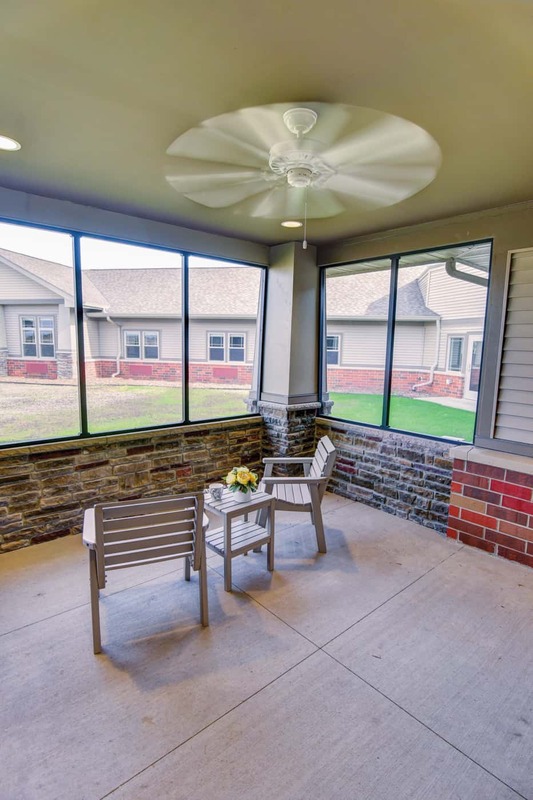 The trellis covered patio adjacent to dining room encourages residents to enjoy the outdoors while offering protection.